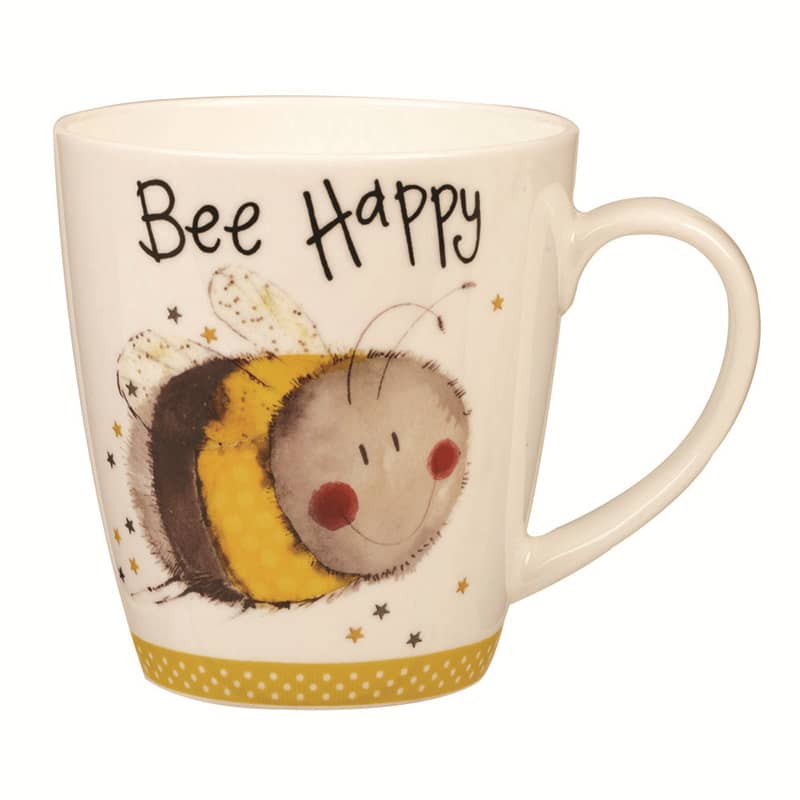 Alex Clark art sparkle Bee Happy Cherry Mug. Made in England. The Kitchen Shop in Staffordshire, United Kingdom.